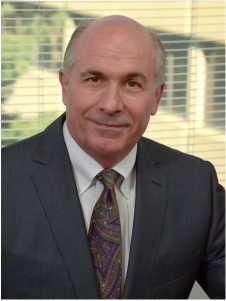 Leadership Team – RCM Technologies, Inc.
Frank Petraglia has served as our Division President of Engineering Services since June 2018. From December 2014 until June 2018 he was the Senior Vice President of our Energy Services Group. Prior to joining RCM, Mr. Petraglia spent the last ten years in leadership positions with Siemens Energy and Mitsubishi Electric Power Products. He has extensive experience with highly engineered systems, including serving as the Vice President of High Voltage Solutions for Siemens US and General Manager of the Substation Division for Mitsubishi. Michael Saks has served as our Division President of Health Care Services since June 2018. From May 2007 to June 2018 he was the Senior Vice President and General Manager of our Health Care Services Division. From January 1994 until May 2007 he was the Vice President and GM of our Health Care Services Division. Prior to joining RCM, Mr. Saks served as a corporate executive at MS Executive Resources, MA Management and Group 4 Executive Search. Mr. Saks has over 31 years of executive management, sales and recruiting experience. Michael Boyle has served as our Division President of Information Technology Services since June 2018. From February 2018 to June 2018 he was our Senior Vice President, IT Consulting & Solutions. 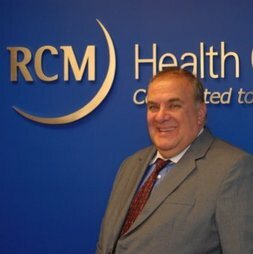 Prior to joining RCM, Mr. Boyle was Chief Operating Officer of MDT Holdings and has held senior sales management positions with Spherion and Kforce. Mr. Boyle has a wealth of IT operational and sales experience. Kevin D. Miller has served as our Chief Financial Officer, Secretary and Treasurer since October 2008. From July 1997 until September 2008, he was Senior Vice President of RCM. From 1996 until July 1997, Mr. Miller served as an Associate in the corporate finance department of Legg Mason Wood Walker, Incorporated. From 1995 to 1996, Mr. Miller was a business consultant for the Wharton Small Business Development Center. Mr. Miller previously served as a member of both the audit and corporate finance groups at Ernst & Young LLP.